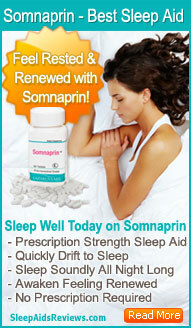 Do you have trouble feeling really rested and rejuvenated even after a good night’s sleep? Or, do you feel tired all the time because you’re unable to get enough rest at night? No matter what your sleep problems are, understanding sleep cycles might be just what you need to start knowing your body a little better and fulfilling its needs when it comes to rest and repair. Keep reading to learn more about sleep cycles, and to access a few tips on what you can do to sleep better than ever. Why Is Sleep—and Sleep Cycles—So Important? When it comes to your daily routine, it is important to get enough hours of sleep every night in order to ensure your body can remain as healthy as possible. According to the NIH, when you fail to get enough hours of sleep and move through your body’s natural sleep cycles, your brain won’t be able to maintain pathways, and that can lead to difficulty learning, remembering things, concentrating, and reacting. Plus, failing to complete your sleep cycles will affect the way that your neurons are able to communicate with one another, and sleep can also play an important role in getting rid of toxins that are in your brain after being awake. No wonder you feel so crummy when you can’t get enough sleep! • Sleep will end up affecting just about every system and tissue throughout your body. This includes your immune system, your brain, your lungs, your heart, etc. 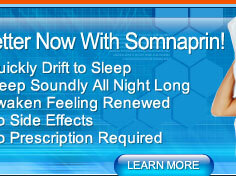 • Sleep has an impact upon your metabolism, your body’s resistance to disease, and your mood. • Failing to get enough sleep, experiencing poor quality sleep, and going long periods without getting adequate hours of sleep, can have a variety of adverse effects on body and mind. Your risk of developing depression, diabetes, high blood pressure, and cardiovascular disease can increase. Also, your risk of gaining weight and becoming obese also goes up. The stages of sleep within your body’s sleep cycles, which you experience throughout the night, are ultimately what will have the biggest impact upon how rested you feel when you wake up. For this reason, you might wake up tired even after you get a lot of sleep, or you might feel more awake when you haven’t gotten as many hours of sleep in. It all boils down to getting enough sleep cycles in for the night and waking up during the right stage of sleep. Want to get to know your sleep cycles? There are five stages within a full sleep cycle, which typically lasts 90 minutes. Also, the majority of people will require four to five sleep cycles within a 24-hour period, so you do repeat them a few times throughout each night. Stage 1 of the sleep cycles is referred to as NREM, which stands for non-rapid eye movement. During this stage, which will last for several minutes, your mind is moving out of, and back into, consciousness. You might even begin to notice yourself drifting off to sleep, and one of your muscles might suddenly jerk and wake you back up. Your breathing and heart rate, as well as your eye movement, start to slow down. Your muscles start to relax, and your brain waves start to slow down, too. Stage 2 of the sleep cycles is also referred to as NREM, but during this phase of sleep, you will finally end up in the lighter stage of sleep before falling deeper asleep in subsequent stages. Roughly half of the time that you spend asleep will actually be within NREM, so this is the stage that you will spend the most time in throughout the night. Your heart rate, along with your breathing rate, will start to slow down, and your muscles will begin to relax further as your brain activity starts to slow down as well. Plus, the movement of your eyes will stop and your body temperature will decrease. Both stage 3 and stage 4 of the sleep cycles are also stages of non-REM sleep, but they are referred to as SWS, which stands for slow wave sleep. During stages 3 and 4, your body and mind will enter into the deepest stages of sleep, so these are the stages that you need to get into if you want to feel ready to go in the morning. This is the period during which your muscles will be relaxed, your brain waves will be slower, and your breathing rate and heart rate will be at their slowest levels. It will be more difficult to wake you up if someone tries to, and it’s best if you weren’t woken up during this stage because you will likely end up feeling tired and groggy. Plus, what a lot of people don’t know is that this is also the period during which sleepwalking can occur. Finally, there’s stage 5 of the sleep cycles, which is referred to as REM, or rapid eye movement. This is the only stage when your body will have rapid eye movement, and you will actually only be sleeping in this stage for about 20% of the entire time that you are resting. You enter this stage roughly 90 minutes after you fall asleep. Your brain will be the most active at this point, so this is when you will end up doing most of your dreaming, and your eyes will move around quickly. Also, your heart rate and your blood pressure will increase, to the point that they are almost as high as they are when you’re awake, and your breathing will also become irregular and faster. Plus, if an expert were to track your brain waves during REM, they would notice that your brain is working as though you were actually awake. At the same time, however, the muscles of your legs and arms will be paralyzed temporarily so you won’t be able to act out your dreams while you’re sleeping. Interesting, right? What Can You Do to Improve Your Sleep and Sleep Cycles? Now that you know about the impact that sleep can have on the health of your body and mind, and now that you have an understanding of the sleep cycles that your body moves through while you are asleep at night, it is time to cover what you can do to improve your sleep. By boosting the number of hours that you sleep, and the quality of your sleep, you can move through the sleep cycles naturally, and you can wake up at the right time so that you will feel refreshed, rather than groggy. 1. Aim to get the right number of hours of sleep, based on your age. Both your sleep patterns and overall need for sleep will begin to change as you get older. On top of that, individual needs will vary even among individuals who are the same age. For these reasons, there really isn’t a set number of hours that experts recommend for sleep for everyone. Generally speaking, however, a baby will need upwards of 16-18 hours of sleep each day, while children and teenagers will need an average of around 9.5 hours of sleep every night. The majority of adults can feel good on anywhere from 7-9 hours of sleep, but individuals over 60 might notice that their sleep becomes lighter, shorter, and interrupted at night. Also, individuals who are elderly might experience problems sleeping as a result of medications that they need to take. 2. Aim to reach deep sleep stages. Deep sleep only accounts for about 20% of your total sleep time, but this is the stage that is integral to mental and physical wellbeing, with REM sleep affecting memory formation. It’s easy to miss out on deep sleep, even if you sleep for 7-8 hours, if you are preoccupied with worry or stress, or easily startled by sounds that you hear during the night. Factors like an uncomfortable bed, a room that’s too hot or cold (experts recommend keeping your room temperature anywhere from 60-75°F), a partner that snores, or the consumption of alcohol can all play a role in your body staying within the lighter stages of sleep. When this occurs, you end up waking up tired because your body didn’t really rest. Therefore, to get to deep sleep, try to cut out the factors that could contribute to a lack of it. 3. Set the alarm for the right time. Depending upon what time you go to sleep at night, you could set your alarm so that REM sleep is achieved. As an example, if you want to be able to wake up feeling refreshed at 6 a.m., aim to fall asleep at 10:30 p.m. the night before, or midnight, the latest. In this way, you can move through complete sleep cycles (roughly 90 minutes each) before waking up. 4. Take small steps that add up. Blue light emitted from devices can keep you up at night, so stop using them a couple of hours before it’s time to hit the sack. Use relaxation techniques, such as taking a warm bath, to start to unwind at the end of the day and prepare for sleep. Get more exercise during the day so you’ll be more tired at night. Avoid caffeine and alcohol in the hours before bed. Keep your room as dark as possible to promote better sleep. Note: You can’t really catch up on lost sleep, especially if you are not completing enough sleep cycles during the night. For example, some people will think that sleeping in during the weekend can help them make up for the sleep that they failed to get during the week. Unfortunately, this doesn’t always work and it may not be enough if you are sleep-deprived. Instead, aim to get enough hours of sleep every night so that you can wake up refreshed every day, whether you have work, school, or nothing to do. Remember, moving through the sleep cycles in a natural and complete way is the best way to wake up feeling rejuvenated and ready to tackle the day. Give Yourself a Chance to Get Some Extra Rest and Relaxation! Sometimes, you need to make it a point to get more rest because your usual busy schedule simply doesn’t allow for it. Sometimes what you really need is to take a little break so that you can rest and revive your body and mind in a place that is stress-free and a lot of fun. By taking just some time out of your life to pamper yourself, you can be more effective when it comes to taking care of others and getting your work done. Plus, when you are able to get more sleep and move through the sleep cycles as your body intended, you can begin to restore balance to your body and mind. You might notice that your body feels better during the day and your mind is sharper. Need to get away for some quality sleep time? Riviera Nayarit includes villas right on the beach, which provide the perfect environment for some much-needed R&R. It is one of the ideal spots to experience some tranquility that can help you get your sleep cycles back on track. Overall, getting enough sleep–with the help of an understanding of the sleep cycles that your body moves through during the night–might be just what you need in order to accomplish more during the day and protect your body against a variety of ailments that can slow you down. Therefore, keep the tips above in mind as you work on refining your schedule to accommodate for the sleep that your body truly needs. Previous post: Do Fitness Tracker Sleep Features Help or Hinder?